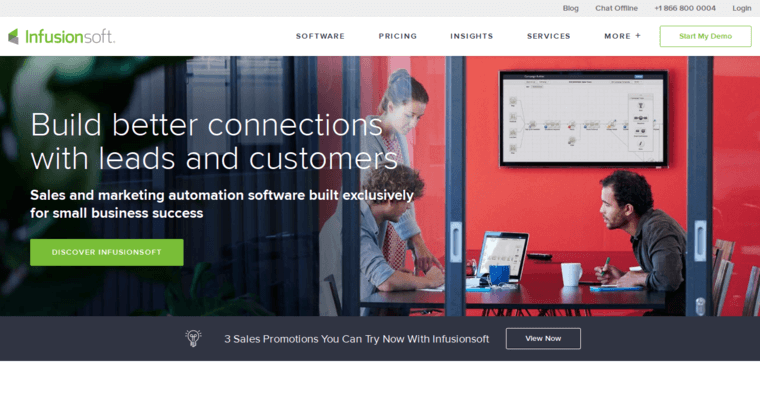 Infusionsoft is meant to act as a single platform that provides all the most vital customer relationship management tools, and it certainly contains some of the most advanced and intuitive options on the market. The software is meant for businesses that focus on sales or services, and it is geared primarily toward small businesses. 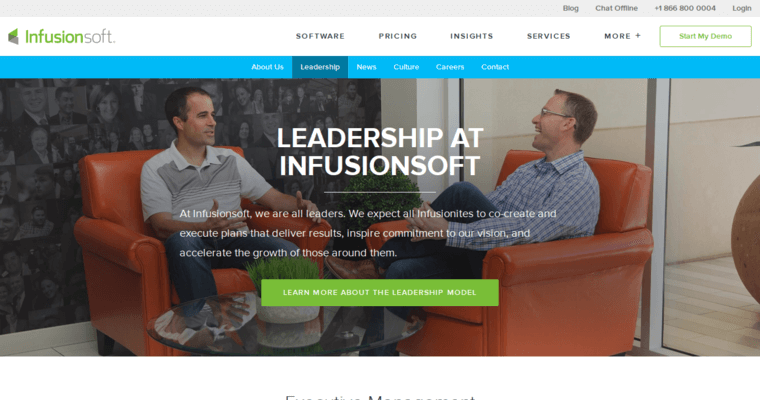 Infusionsoft, like many other leaders in the CRM field, is based online for the ultimate connectivity and convenience. 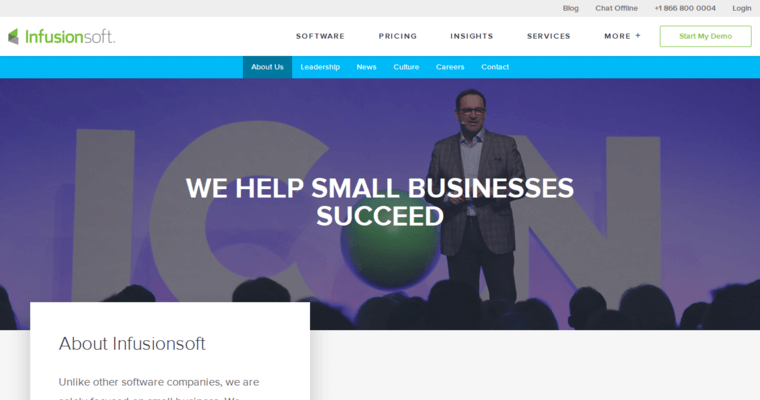 When you consider the advanced features found in Infusionsoft, you'll probably wonder how your business survived without the software. It includes a number of automation functions that help with emailing, data mining, data organization, and analytical reporting. You can see which events are most effective and which campaigns should be redone for optimal results. Another great aspect of the software is that it allows you to build a comprehensive online storefront with mobile access and support for web payments.